On Sunday, April 28, 18 members of the Society of St Paul, and one member of the Institute of Jesus the Priest, gathered at the house of the Divine Master in Ariccia, to take part in a three-week program on the Pauline charism in the English language. Eight have come from India-Nigeria, five from the Philippines-Macau, four from the United States, and one each from Australia and the UK-Ireland. For many it is their first trip to Italy. 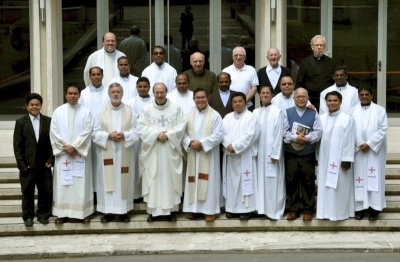 The three week English-language charism course held at the Casa Divin Maestro, Ariccia, ended on Saturday, May 18, the feast of Mary, Queen of Apostles, with the celebration of the Eucharist at which the Superior General, Fr Silvio Sassi, presided. Together with the General Counselors here present, with the entire General Government, and in the name of the whole Congregation, I would like to welcome every one of you to this encounter of study and programming. As sons of Saint Paul, we know that “travelling” is part of our identity. And because we journey for the sake of the Gospel, our fatigue is a contribution to the good of the Congregation. The economic investment, above all at this time, ought to be an additional reason for us to work in order to bear fruits that our Brothers can expect. 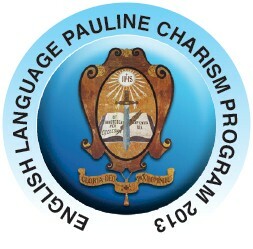 The program is open to all members of the Society of St Paul who can understand English. Participants need to be in Rome on the morning of Sunday 28 April, at the latest. The program officially begins with lunch at 12:30 pm on that day. The 8th Plenary Meeting of the Society of St. Paul’s CAP-ESW Group was held at the Provincial House of the Society of St. Paul, Makati City, Metro Manila, Philippines, from 5 to 12 February 2012. Participating in the meeting were the Major Superiors and Directors General of Apostolate of five of the seven circumscriptions of CAP-ESW. The Superior General, Fr Silvio Sassi, was present along with the Vicar General, Fr Celso Godilano, and Fr Ciro Monroy, General Councilor and President of CTIA. 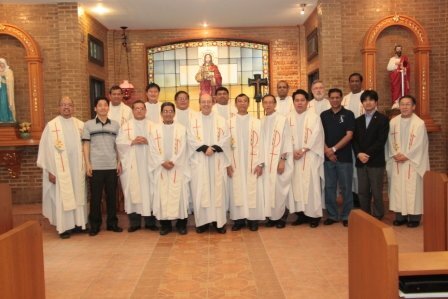 General Councilors, Fr Salud Paredes and Br Blaise Thadathil, who are in the Philippines for a verification visit, were also in attendance. The participants gratefully acknowledge the warm welcome and the wonderful hospitality provided by the Provincial and members of the Philippine-Macau Province.